This shop has been compensated by #CollectiveBias, Inc. and its advertisers. 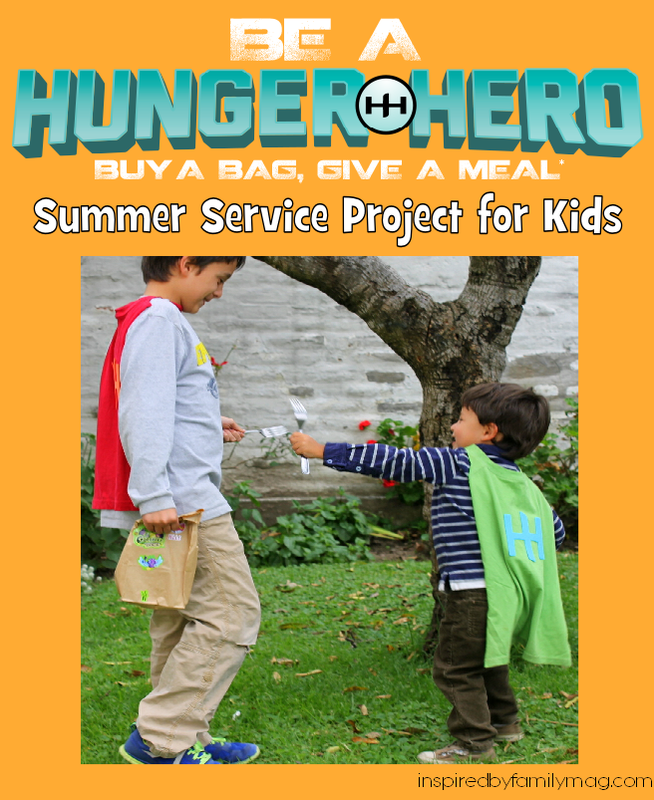 Hunger Hero Kids & No Sew Superhero T-Shirt Cape have my kids excited about doing acts of kindness for others this summer! 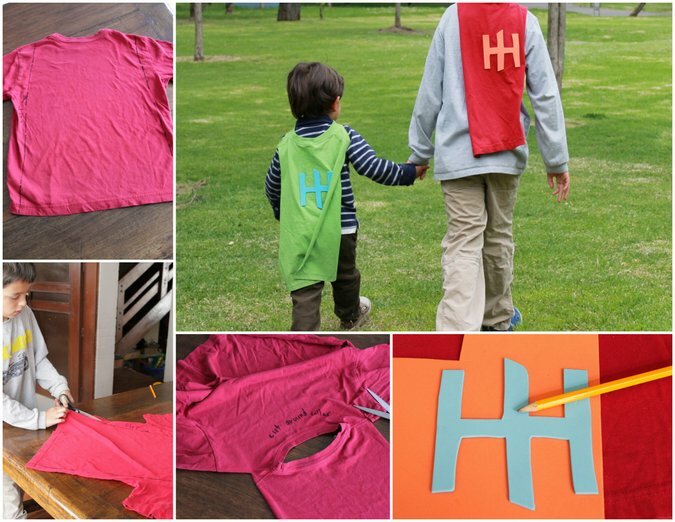 Before I share how to make your own cool no sew superhero t-shirt cape, let me tell you about our experience this morning. It brought happy and sad tears to my eyes. Three little boys just slightly younger than my own, probably the ages of 7, 4 and 1.5 years old, sat in the dirt, in the median of a very busy road. The baby wasn’t facing us but my three year old wanted to give him a lunch so finally the little guy turned around and he was holding an old piece of bread. The bread fell in the dirt and the baby picked it up and continued nibbling on it. My heart broke but at the same time I was thankful that my boys were able to witness the poverty that is out there. 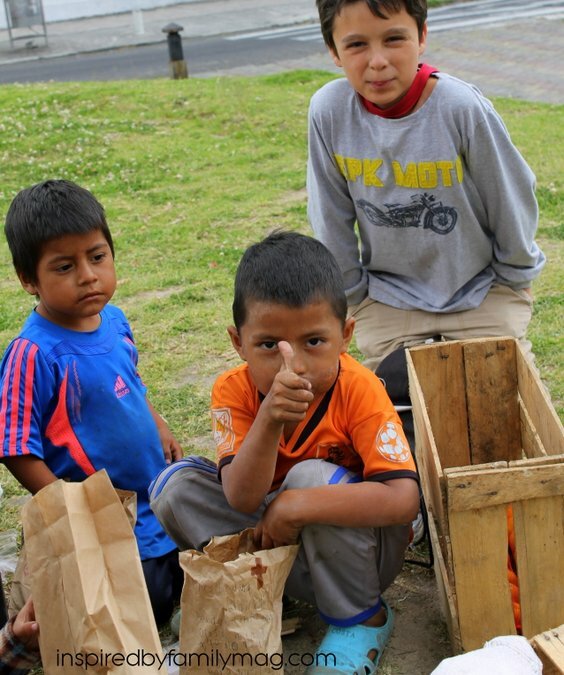 Also to find themselves in a position where they could put a smile on the faces of these little boys with this small act of kindness: a lunch. 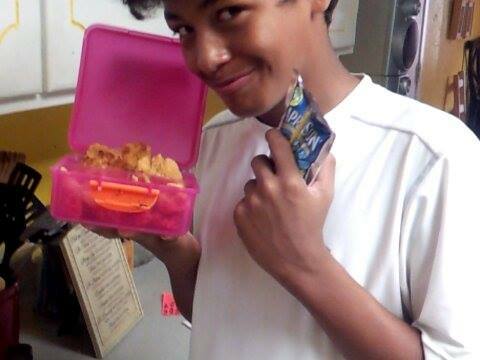 The little boys took the lunch bags, smiled up at us, and quickly proceeded to dive into their lunch. I usually don’t like to take pictures of us giving out lunches (for my own personal reasons) but today this little guy was really into getting a picture taken with his thumbs up. My boys walked back to the car having learned a little bit more about life and knowing that God can use them no matter how small they are–to put a smile on someone’s face. And that’s how my boys became Hunger Heroes! It really doesn’t take much on your part and it builds your child’s confidence and helps them develop character and value–only truly grasped when experienced. It’s amazing what a simple superhero cape did for our regular service project outing (we haven’t been able to do recently with the our chaotic schedule), they were SUPER excited and full of energy. In the past, when we’ve done our service family projects they are usually excited to be involved but this cape put a whole new kind of energy into our activity. 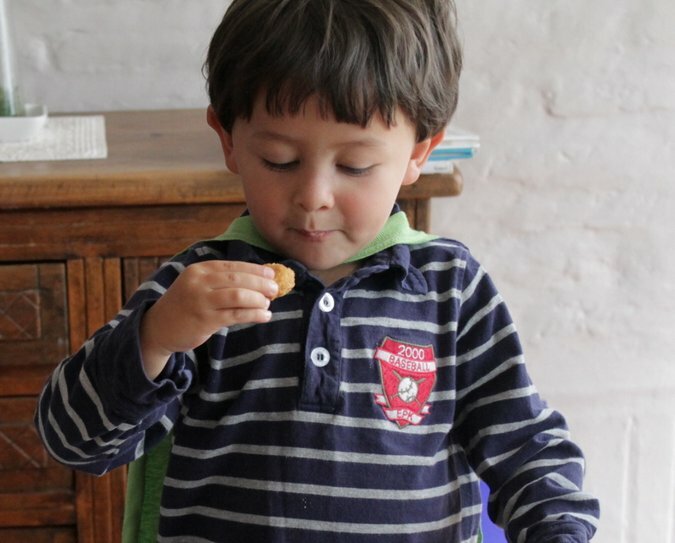 Also, my kids love chicken nuggets (Is there a kid who doesn’t? ), we had just baked some before we headed out so they were even more excited to give the kids a meal that they get to enjoy on special occasions. I absolutely love the moments we share as a family doing our Operation Brown Bag service family project that we started five years ago. Even with the bitter-sweet moments as I struggle to hold back tears observing little ones the same age of my children who are hungry and sometimes alone. 1. First you’ll need to draw 2 lines on the back of the shirt using a ruler, see image above. 2. Cut down the lines. 3. Cut around the collar. 4. And if you’d like, add your emblem by using a foam sheet and then glue it on. Now are you ready to make someone’s day! 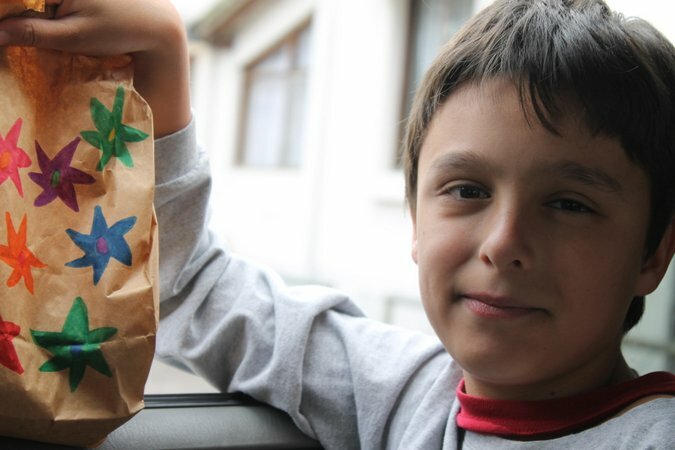 Being a Hunger Hero is about turning families into superheroes, and tapping into the incredible power of giving. 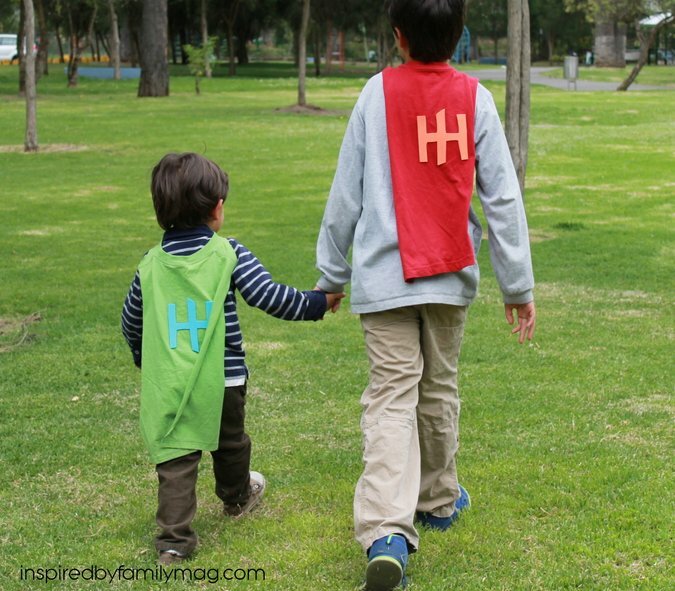 Like any good superhero, Hunger Heroes are bold, confident, and even playful as they save the day in style. 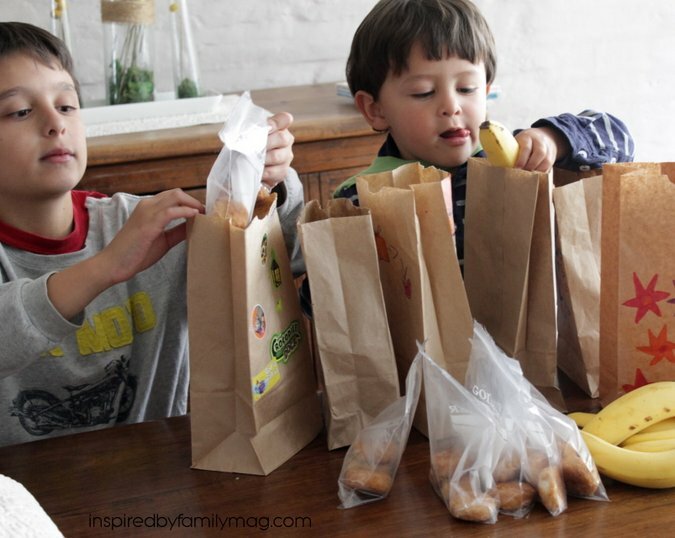 Basically, my kids helped me fill several bags with lunches. We’ve done it so much, they have the system down. We line up the bags and set up an assembly line. 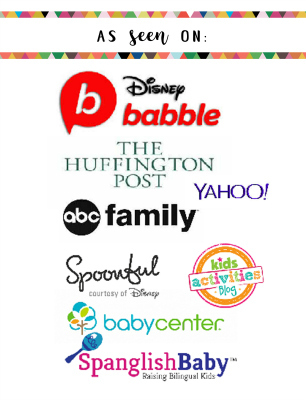 This is the perfect place to have your little ones involved. 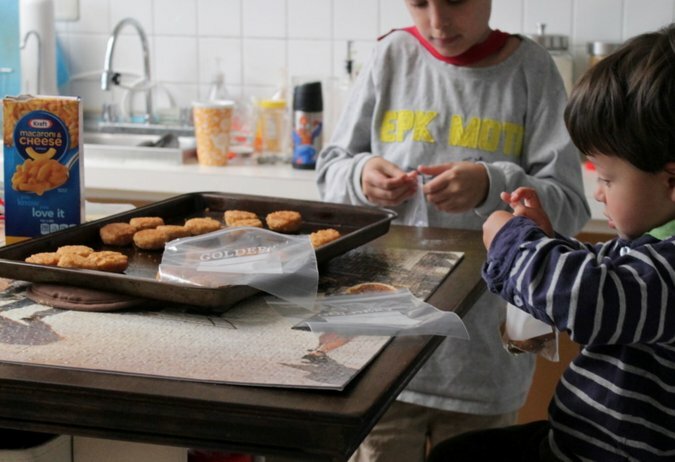 I had my oldest and three year old count out nuggets and place them in baggies (notice they have their capes on). Our three year old loves counting so this was really fun for him. Then we go out on late Saturday morning or whenever were out on errands and we pass them out to street kids and others who look like they need an act of goodness in their life. If I’m alone with the kids we do it as we are driving around running errands. But if my husband accompanies us we go to a park where we know we might find some kids and people who need an act of kindness in their life. Use your own judgement on what part of town to go to, when to stay in the car and when it’s safe to get out of the car. No matter how you choose to do it, I encourage you to find a way you can serve others this summer as a family. Those memories will forever be etched in their mind. My parents left a legacy behind that now I can carry on with my children: acts of kindness for those who are in need. Here’s an extra incentive to get your kids to become Hunger Heroes this summer: Tyson and Kraft will donate a helping of nourishment each time a Tyson® Fully-Cooked Chicken Nuggets 5 lb. bag, a KRAFT Macaroni & Cheese Dinner 7.25 oz. 12-pack, and/or a Capri-Sun 6 oz. 40-pack are purchased at Sam’s Club during the month of August! More details to come. 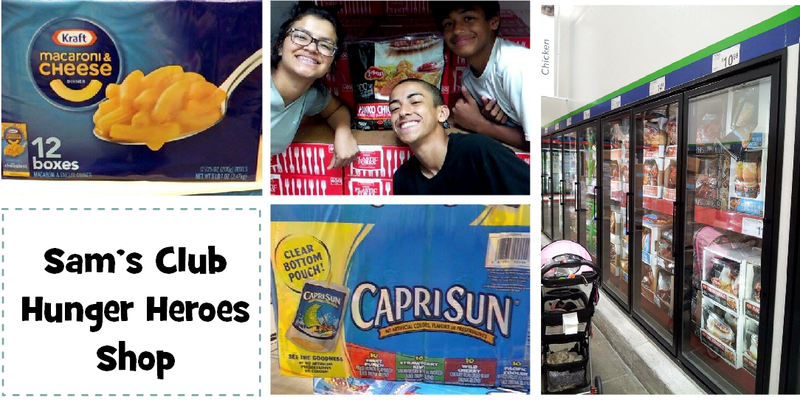 So where can you get these items to get your kiddos started on #Hunger Heroes this summer? Here’s the shop! 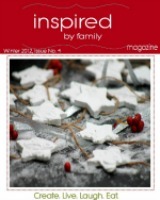 Wow, I love this idea! The capes, the lunches, the whole deal. Beautiful. Thanks Janet! We enjoy it!